Compliance is top priority at Smith Industrial Service Inc. Our senior leadership has always been committed to promoting a culture of high ethical standards and environmental compliance in all aspects of our business. A newly revised corporate ethics and compliance program sets the standard for compliance and ethics training for our workforce. Safety is a high priority at Smith Industrial Service. We believe that safety is equal to production. We have much invested in our employees and care about their safety and health because our people are our greatest asset. Smith Industrial Service has integrated Safety Plus Inc. into our everyday work, administering training, on-site audits and inspections. Smith Industrial Service has its own production department creating and producing training videos using our people and our equipment so that training can be as specialized as possible. We are proud of our workplace culture that has become an ethical lifestyle of safety and compliance. All employees are continually updated as to the specific requirements of our clients and changing industry regulations. All staff members and employees undergo complete drug screening and are randomly tested to assure a drug-free work force. 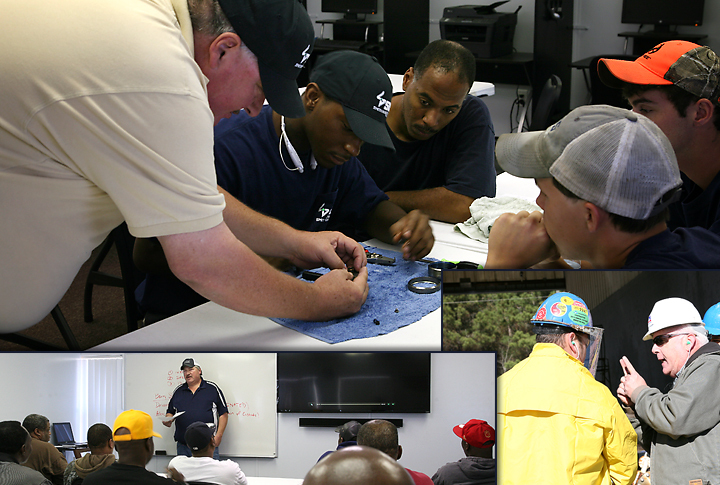 Our weekly safety meetings and on-going training courses help assure our excellent safety record remains in tact.